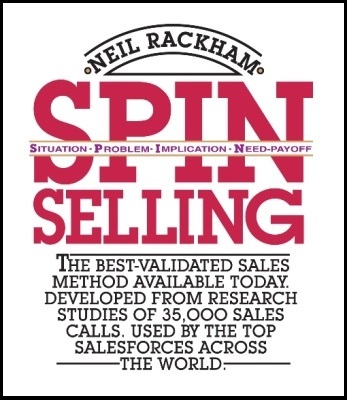 One of the best researched sales books on the market, SPIN Selling has the answer: Yes, the questions you ask during client interviews have the greatest impact on the outcome of your sales campaign. We outline the four types of value-centered, open-ended sales questions and demonstrate how to perform discovery interviews that steer your prospects toward the best outcome. Ask these questions to get on the same page as the client. Be careful not to overdo it, as they've probably been over this material many times before and might grow tired of relating it again. When you get an idea about where issues might lie, advance to Problem questions. You can still use Situation questions to clarify when needed. How do your processes work? What does the organization look like? Understand what the client feels is holding up their process or lowering their productivity. Identify several issues and gather multiple viewpoints. Try to gain insight into the root causes of these issues before asking Implication questions. What issues or difficulties are you experiencing? How are you currently handling them? An isolated issue can be tolerated but a wide-ranging problem must be addressed. Now that you understand the problems, help the client see their true scope. Ask the client to quantify/qualify the real cost impact of their pains before moving on to Need-Payoff questions. The more successful you are with these open ended sales questions, the more likely you will be able to justify your solution later on. What effect do these problems have on results such as cost, quality, delivery, or customer service? Who else might be affected by these problems? How do these problems impact others' results or the effort required to do the work? It's important that the client publicly state what solutions they feel are needed. Ask how these solutions might help resolve the implications you've uncovered and to what degree. The client must come to the realization that there's real value in resolving their pain points. The explicit needs you develop are the foundation of your business case. What improvement in results could you make by resolving these problems with (a specific software capability)? What quantifiable value would that generate? How important are these benefits to you? Following the model gets customers to tell you how what you're selling helps them. It makes you partners instead of opponents in the value discovery process. And by helping clients develop the benefits in their own words with open ended sales questions, you avoid objections and make it easier for them to sell internally for you. Have you ever lost a sales pursuit without knowing why? How many more could you win if you cooperated with the prospect to justify the sale instead of trying to "convince" them of your software's benefits?